NEW! 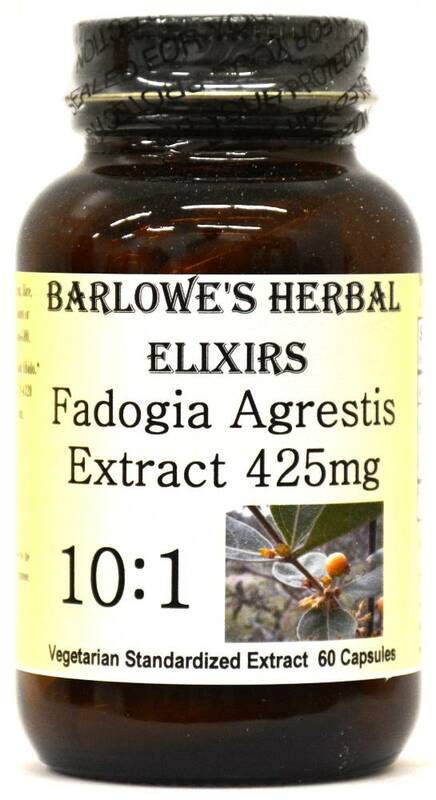 Barlowe's Herbal Elixirs now brings you a quality Fadogia Agrestis 10:1 Extract. Fadogia Agrestis is a flowering plant that grows in south and central Africa. It has long been used by natives there for boosting testosterone and libido. Animal studies have shown that it may increase mating behavior and testicle size, and that it may have analgesic and anti-inflammatory properties. Bottled in Glass! No Stearates! No Fillers! No Junk! 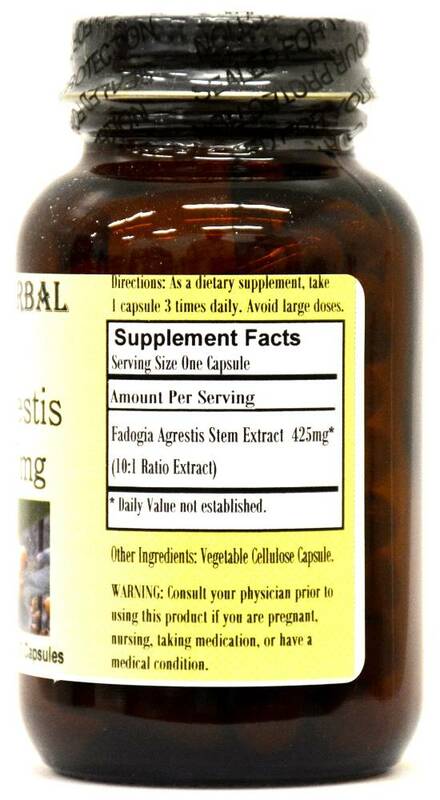 Barlowe's Herbal Elixirs now brings you a quality Fadogia Agrestis 10:1 Extract. Fadogia Agrestis is a flowering plant that grows in south and central Africa. It has long been used by natives there for boosting testosterone and libido. Animal studies have shown that it may increase mating behavior, testosterone levels and testicle size, and that it may have analgesic and anti-inflammatory properties. Bottled in Glass! No Stearates! No Fillers! No Junk! Caution: Barlowe's Fadogia Agrestis is generally safe, but it is potent and should be utilized with care. This product should not be taken on a continual basis. It should be cycled - for example, take for two weeks then take one week off. Do not take large doses of this product. Normal weight individuals should take no more than three capsules daily. Do not take if you are being treated for, or have cancer, thyroid disease or thyroid problems, liver, kidney, or cardiovascular disease. This product is for dietary use. If side-effects occur, discontinue use immediately! 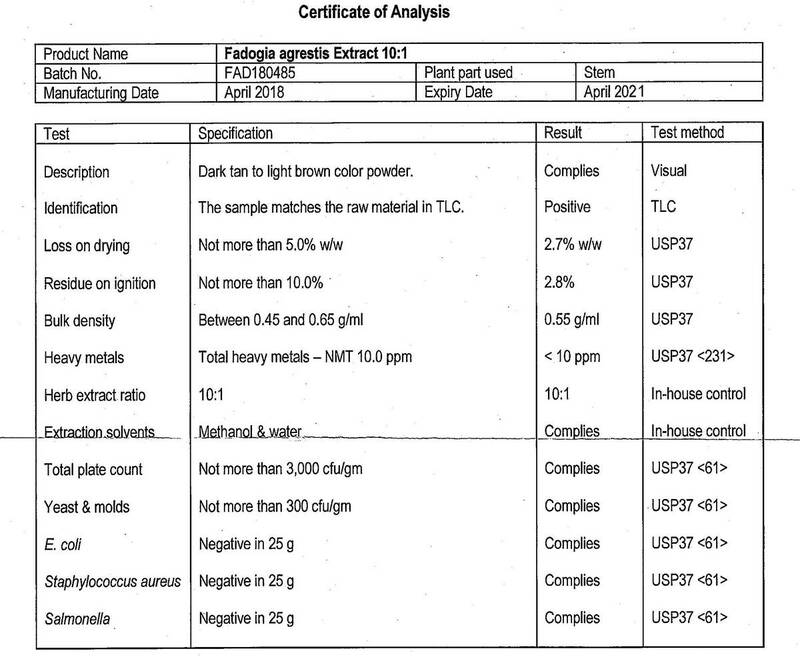 The above statements have not been evaluated by the Food and Drug Administration (FDA). This product is not intended to diagnose, treat, cure, or prevent any disease. Directions For Use: Normal weight individuals should take one capsule three times daily. Overly large doses of this product should be avoided. Cycle usage - for example, two weeks on, one week off. Results and usage amounts may vary based on body type and weight.